This is the bizarre moment a disgruntled customer paid £25 for a Domino’s pizza meal - using just 2p coins. Billy Martin dumped 1,287 coppers - totalling £25.74 - on the counter after he got into a row with a delivery driver over an outstanding payment. The dad-of-one took drastic action after he ordered a medium cheese and tomato pizza, mighty meat stuffed crust, potato wedges and a Fanta. Billy says the delivery driver dropped the meal off but left before he had a chance to give him the money. The grounds worker says he assumed the order, which he made online, had automatically taken payment from his bank card so thought no more about it. But the next day, Billy says he received a string of text messages and phone calls from Domino’s telling him he owed them money for his meal. Billy said he tried to explain to the driver that he was attending his girlfriend’s gran’s funeral and would have to pay the money when he got back on Sunday (19/11). His mobile phone shows he received six calls from the delivery driver between Thursday and Saturday. To get his own back, Billy changed the money into 2ps at a local bowling alley before taking them to the Domino’s branch. Billy, 23, said: “They ruined my weekend so I decided to get my own back and pay the money I owed in 2ps. “I ordered two pizzas, two sides and a drink and it came to £25.74 around 8pm last Thursday. “The delivery guy just handed the pizzas over and didn’t say anything except ‘see you’, I just assumed I’d paid by card online and didn’t think much of it. “The Dominos delivery driver first rang to ask for the money two hours later. “It was late and I was about to go to sleep so I explained my situation that I was leaving first thing to go to a funeral and I would be back on Sunday evening so could come in then and pay for the pizza. “I even said I’d pay over the phone straight away but they told me that I couldn’t do that. “The driver said ok and I thought no more about it but the next day he kept calling. “I’d already explained that I was at a funeral but they still persisted to call me, I think they thought that I was lying about where I was. “The whole thing was a nightmare and my girlfriend wasn’t happy that I was spending the day on my phone trying to deal with the situation. Billy even claims Domino’s called the police who called him chasing the payment. 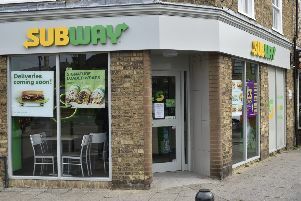 He said: “When the police called I spoke to them and they told me that if I didn’t pay for the pizza by Sunday evening they would be taking it further. “I took the money in on the Sunday evening like I said I would, but in two pence pieces, I got the money changed at a local bowling alley. “I asked for a receipt to prove I’d paid it but they told me I could have a receipt when I paid with proper money. They accepted the payment and I’ve heard no more about it.